Microsoft's "most powerful console of all time," codenamed Project Scorpio, will be officially unveiled during Xbox's E3 2017 press conference. "We’re excited to unveil Project Scorpio and the amazing game experiences it powers at E3 this June." 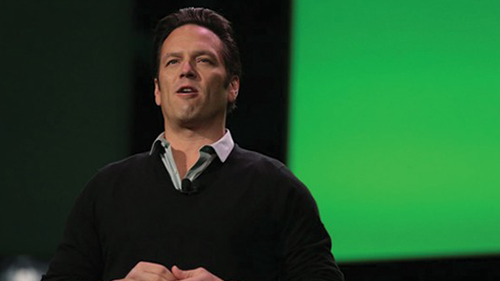 Phil Spencer, Head of Xbox. Last year we reported on some pre-E3 2016 rumors concerning a pair of consoles to succeed, and exist alongside, the Xbox One. 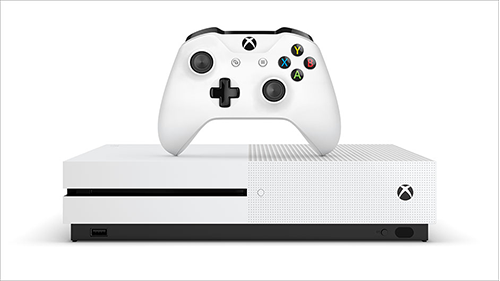 Both consoles were proven to exist on stage at Microsoft's press event, first was the Xbox One S -- a redesigned console that was smaller, slightly faster, and capable of using 4K/HDR -- the next was still using the Project Scorpio codename and was called "the moster powerful console of all time" and slated for a Holiday 2017 release. 2016's Xbox One S and accompanying controller. We've already seen the Xbox One S hit store shelves but the Scorpio is still a ways off. 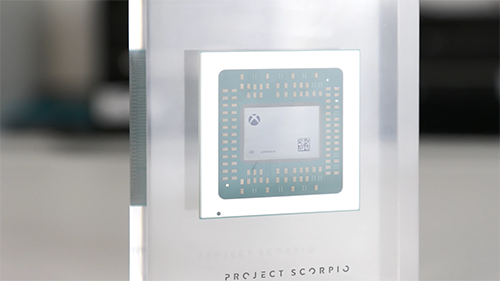 Last month, Eurogamer's Digital Foundry was given an insiders look at the tech that would be powering the newest Xbox and they seemed to walk away very impressed. Ideally, this console would be capable of consistently delivering native 4K resolutions and higher than normal frame rates on many upcoming games. A parting gift to Digital Foundry, the chip that would be powering the next Xbox. Toward the end of 2016, the PlayStation 4 Pro hit store shelves. Sony's most recent console was a rerelease of the PlayStation 4 that had a little more power under the hood. The extra strength of the pro allowed for faster frame rates and either an upscaled or native 4K resolution on certain titles, check out our list of games that offer Pro support. Looking at the specs of both consoles makes it clear that the Project Scorpio will have the advantage when it comes to power, but will it have that bring in gamers? After the blunder that was E3 2013, Xbox struggled to retain goodwill with players that felt burnt by their policies and PlayStation has remained king of the hill ever since. A more powerful console is great and all but will Xbox switch their focus to games? My take is that they already have and are keeping it quiet for an explosive E3 reveal. The current generation of consoles has been a landslide in PlayStation's favor but it seems like Xbox won't be giving up without a fight. Putting the most powerful console of all time in their corner could also bring developers to make their 3rd party games with Xbox in mind as opposed to PlayStation, this will result in a better gameplay experience on your Xbox. If you're looking to see the official name, release date, and first look at the Project Scorpio, keep your eyes on Kidzworld around June when we'll have articles about all the big E3 news to come out of LA and beyond. Are you an Xbox gamer? What are you hoping to see at E3? Comment below!